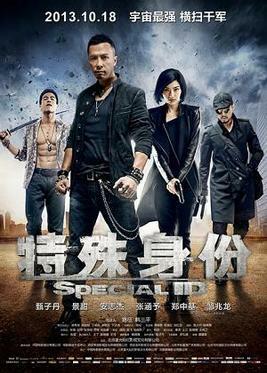 Zilong Chen (played by Donnie Yen), an undercover police officer deep within the ranks of one of China’s most ruthless underworld gangs. The leader of the gang, Xiong (Collin Chou), has made it his priority to weed out the government infiltrators in his midst. Struggling to keep his family together and his identity concealed, Chen is torn between two worlds. The last time Donnie Yen officially put mixed martial arts onscreen was Flashpoint (Legend of the Fist: Return of Chen Zhen does not count, that was a superhero movie), which arguably in my opinion was his artistic peak as an action choreographer and onscreen fighter. He successfully made real martial arts combat cinematic. The choreography was shot in a way that allowed the viewer to visually break down why move A was countering move B. So with that said, my expectations of the MMA fights coming into Special ID were high. To be fair, my high expectations aren’t out of place. Donnie Yen has said he wanted to go further with displaying MMA on film. In Special ID, Yen does this by integrating the urban environment into the choreography. The fights are set in tight spaces and narrow hallways, showcasing the physical precision it required from all the stunt performers. The group fights are convincingly realistic. Everything looks less staged and the moves don’t land as cleanly, giving a gritty sense of realism. On pure cinematic terms, Yen succeeds. The choreography is another story. The only wee complaint I had about the mixed martial arts choreography in Flashpoint was that Donnie Yen was the only one who fought with MMA techniques. Everybody else was essentially a kickboxer fighting the main character that had groundwork and wrestling skills up his sleeve. I let that go for Flashpoint, but in Special ID it has now officially become problematic. This makes me think that Yen was solely concerned with making himself look good onscreen. Yen has been guilty of this in the past but this is too blatant. Yen’s fight with Ken Lo, a stuntman popular for being the villain from Jackie Chan’s Drunken Master 2, is one such example. There were moments designed in their fight that purposely made Ken Lo look clumsy and stupid. Anybody who has seen Ken Lo in an onscreen fight will know that he is anything but clumsy. Don’t get me wrong, these are good fights. They are are tense and grueling, but it’s too dramatically convenient if only the hero knows Brazilian Jujitsu and all the villains have no knowledge of countering it. Much of the story problems -and there are many- with Special ID are the common problems I have with current Mainland-Hong Kong co-productions. There’s a penchant for shooting dialogue scenes in a perfectly decorated restaurant or apartment. No matter what happened in the scene before, the actors are always seated perfectly still reflecting upon what just happened. The dialogue is often on-the-nose, stating things that the filmmakers are supposed to be showing. It is television-like and I don’t know why it is the trend. The dialogue scenes in Special ID are plodding and murder every sense of dramatic tension. It’s a narrative mess. The female police officer character played newcomer Jing Tian was a severe plot contrivance and another example of a bad Mainland film trope. Her character Fang Jing was constantly spewing preachy dialogue about how police work should be ideally done, and acted too naïve to be a convincing policewoman. It’s like her character was written to secure an approval from the Chinese Film Bureau. She had too much screen time and it was like watching Hello Kitty fight crime. I particularly hated the manipulative choppy musical score. It was in the vibes of “Hey, it’s time to feel this emotion now!” One minute there’s the metal music for the fights, and then the next minute it’s pensive piano music when Jing Tian yaps on about following rules is the key to a good life. 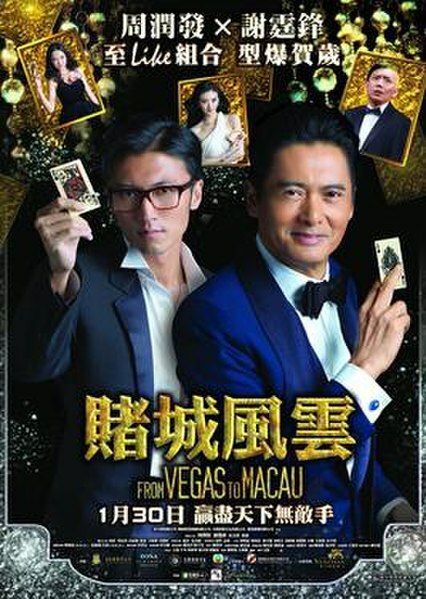 Collin Chou shows up for what ends up being a disappointing role. It’s actually a cheap marketing ploy to tease the martial arts film fans that there is going to be a fight at some point in the story. Collin Chou and Donnie Yen have fought before, so as fans we expect there will be something that will at least try to top the Flashpoint fight. But sadly, that didn’t happen. After that, I was only half awake for the final showdown with Andy On. I’d recommend people see Flashpoint again. Sure, the plot wasn’t anything new, but Wilson Yip told a proper story. He gave little dramatic touches to the heroes and villains, which created proper stakes and made me care about the characters. Special ID has no developed characters, plot or any sense of flow or consistency. This was a perfectly marketed soulless product designed to take our money. And it was just plain mean-spirited. I will probably watch Special ID again, but probably only the fight scenes in the form of online Youtube clips. I like these fights, but wished they belonged in a better movie. Special ID was just all flash, but without the “point”.